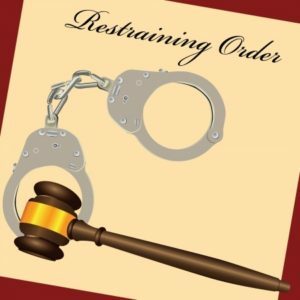 Why Does This Eight-Year-Old Boy Have a Restraining Order? Most eight-year-old boys are playing outside, watching cartoons, or having fun with their favorite video games, but eight-year-old Peyton Whitehead of Missouri isn’t one of them. On only the second day of school, a deputy served Peyton with a restraining order as he sat in class. This seems harsh for a young child, but according to the father who filed for the restraining order on behalf of his children, it was a necessary protective measure. Based on the papers filed with the restraining order, Peyton punched a seven-year-old boy four or five times in the arm, then threatened to “slice his head off.” Just a week later on the school bus, he told an eight-year-old girl that would was “going to murder her with a knife and throw her off a cliff,” then kill her dog. If that wasn’t enough, Peyton was also found beating his porch viciously with a baseball bat and then threatening two children with it, going so far as to tell those children that his mother kept a gun in her purse. Peyton’s mother came to her son’s defense, claiming that despite making some inappropriate comments, Peyton’s faults have been exaggerated in an effort to retaliate against her personally. “This is an active retaliation against us because we’re questioning the bylaws of our little community here. Unfortunately, my son was caught in the crossfires.” Whitehead emphasized to reporters that her son was the true victim of bullying and had a behavior plan worked out with the school counselor.